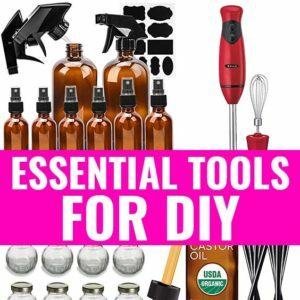 10 Beauty Benefits of Papaya for Skin & Hair - beautymunsta - free natural beauty hacks and more! Find out 10 beauty benefits of papaya for skin & hair in this post! Papaya is one awesome detox food! Many people add papaya – raw, ripe or even the seeds in their detox diets because it has colon cleansing properties that will sweep out toxins and other gunk stuck to your colon. 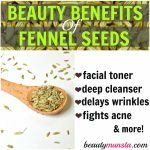 These toxins, if not gotten rid of fast, may actually pop out of skin as acne! Papaya has a high water content that supplies and seals moisture into dry rough skin patches and soften them. Smear mashed papaya on your elbow, knees and cracked heels in the shower to soften them. Naturally lighten skin tone, diminish blemishes and fade away acne scars using papaya. Papaya contains a powerful enzyme, known as papain, which has incredible skin bleaching properties. Skin Lightening Face Pack: Slather 1 tablespoon of mashed papaya onto your whole face or only the discolorations to lighten them. Leave it on until it dries up and tightens your skin. Rinse off with cold water. Pat dry and apply 3 drops of argan oil (also helps with skin lightening) to moisturize. Do this consistently to see amazing results! The natural skin bleaching properties are found in papain, an active enzyme in papaya. This will gradually lighten scars and diminish blemishes promoting a beautiful complexion. Eat papayas regularly in your fruit salads and smoothies to heal your blemishes at a fast rate. 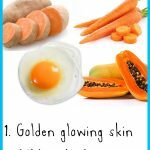 Applying a papaya face mask also helps fade away acne scars and dark spots. Please see my Papaya Honey Face Mask recipe. Some types of dandruff is actually caused by poor digestion. Green papaya when eaten, aids in the digestion of proteins due to its high concentration of papain. 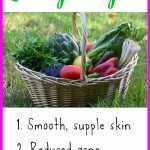 Add green papaya to your veggie salads to help eliminate severe dandruff. Papaya is very hydrating – a ripe papaya contains about over 80 % water. Apply one tablespoon of mashed up papaya to your dry skin and leave it on for about 10 minutes. 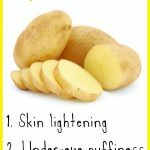 This will plump up dry skin cells and feed them with moisture and nutrients. Powerful antioxidants in papaya will combat free radicals that cause premature aging by stealing oxygen from healthy skin cells. Topical application of papaya to your face will also reduce fine lines and skin sagging by firming skin and tightening loose skin. Eat papaya regularly and apply papaya face masks to benefit from the anti aging beauty benefits of papaya! Try my delicious Papaya Smoothie for Glowing Skin! Papaya offers mild skin exfoliation because it contains alpha hydroxy acids and papain, which act as skin exfoliators by dissolving flaky skin, dead cells and inactive protein at the epidermal (top most) layer of skin. Exfoliator: Next time you make a papaya smoothie, save 1 tablespoon for your face! Mix in 1 tsp of brown sugar. Gently rub this all over your face to exfoliate and control sebum production. Papaya is said to help prevent premature graying, thinning of hair and baldness. It’s rich in powerful antioxidants such as beta carotene that is really beneficial for luscious hair! Beta carotene is converted to vitamin A in our bodies. Vitamin A is necessary for a well hydrated scalp, which stimulates hair follicles and promote hair growth. Eat papaya for long luscious hair. A papaya hair mask can also work wonders in conditioning and softening hair locks! When applied as a face mask, papaya tightens on skin as it dries up. Papaya is an excellent skin tightening ingredient. 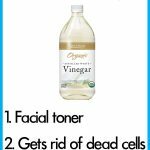 It helps firm loose and sagging skin. Tightening skin also controls acne and blackheads by shrinking large pores to minimize excess sebum secretion. Which beauty benefits of papaya are you interested in?! 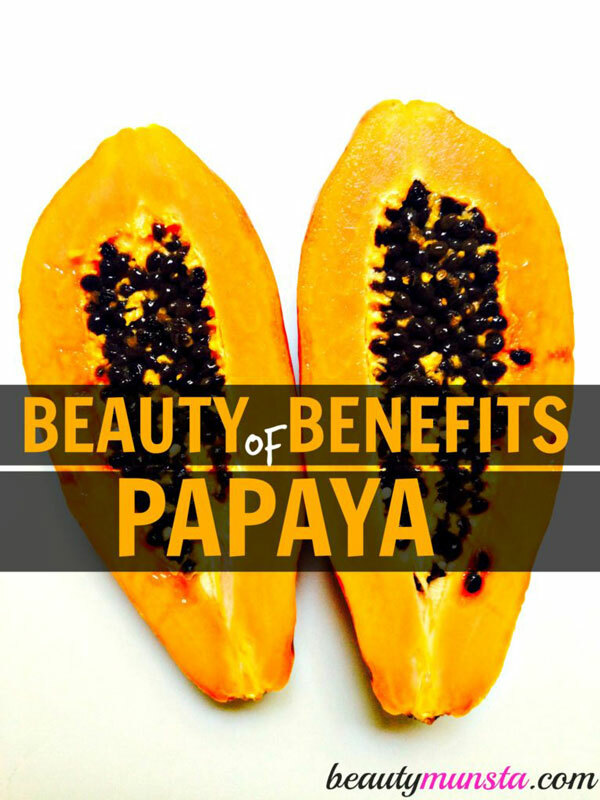 Share how you’re going to use papaya in your beauty routine!